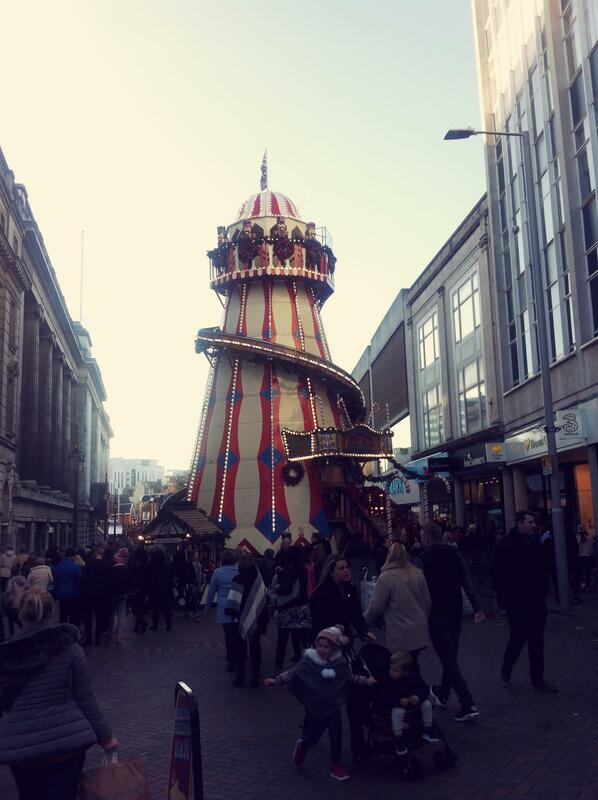 Heading down from Hockley in Nottingham towards the annual Christmas Market we see the helter skelter. Crowds of people are getting in some still early Christmas shopping and milling around the pop-up winter themed stalls and bars. These German styled Christmas markets seem to be in almost every U.K. City centre these days with perhaps the biggest and most famous being in Birmingham. At first I’m unmoved by the market, thinking it a little crass in its commerciality but I soften. There’s an ice rink too which takes up the major part of what’s fondly called Slab Square (Old Market Square) along with an Ice Bar that at three on a mid-November afternoon is doing swift business. We can’t hang around for long because we are off to the cinema. I’ve been persuaded to go and watch ‘A Star is Born’ starring Lady Gaga and Bradley Cooper. The only other version of the film that I’ve seen is the Judy Garland and James Mason version, the Barbara Streisand and Kris Kristoferen movie passing me by. It’s too easy for a curmudgeon like me to dismiss these Christmas markets. People are enjoying themselves moving stall to stall, bar to bar. The tinkling laughter of children from the fair rides. I will be back.